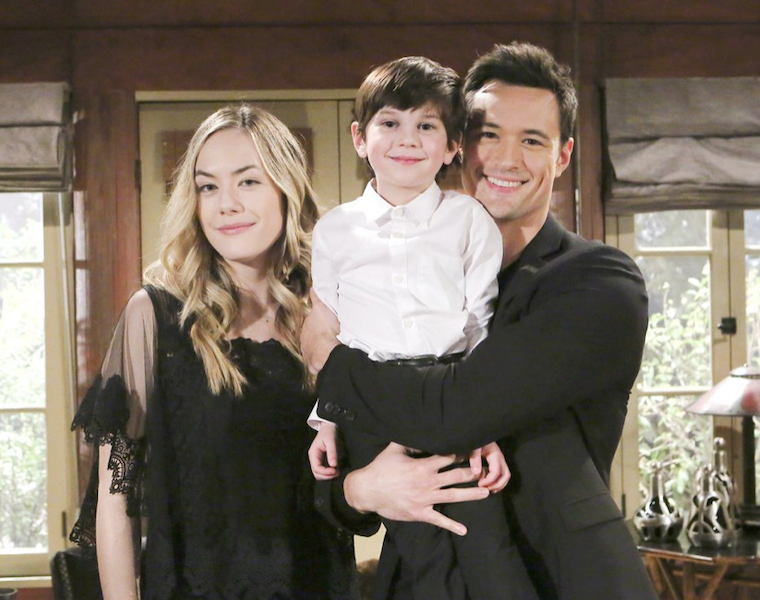 ‘Bold and the Beautiful’ spoilers for the week of Monday April 15 to Friday, April 19 relate that we have seen some serious tears over the last week on B&B and it looks like it’s going to keep going through the week of April 15-19. We are going to see some serious drama this week, that’s for sure! Last week, we saw the teasers that Thomas and Hope are getting much closer. He really enjoys spending time with her and his son. He loves to watch them together and it has started to really make him think about how he is starting to feel about her. What does this mean for this week? Will Thomas tell Hope how he feels or will he look for advice first? We know that he has been given a lot of advice to stay away from Hope since she is married to Liam, but he may not heed these warnings. One of the newest spoilers that we have seen does show Thomas telling Ridge about the feelings that he has developed for Hope. Ridge will probably give him more advice to stay away from her, but we don’t think he will listen. There are many things that we see Thomas doing to get Hope’s eyes on him and not on her husband. We know that he is thinking about going back to work at Forrester and he will want to work on the one campaign that he knows she will be on. He will start to work on the Hope For the Future campaign because he will be working with her on it everyday. This will make it much easier for Thomas to be with her. We want only the best to happen for Thomas, but we are not sure if he needs to be working so close to Hope. She is married, but her marriage to Liam seems incredibly vulnerable right now. If Thomas keeps pushing himself even closer to Hope, we may see a relationship with the two of them get real steamy or Hope may decide t o try and repair her marriage. Stay tuned this week to see just what drama is around the corner on the Bold and the Beautiful. There is bound to be a lot more drama and thrills this coming week!